The first-ever Charity Bag Fundraiser launched sales on November 23. 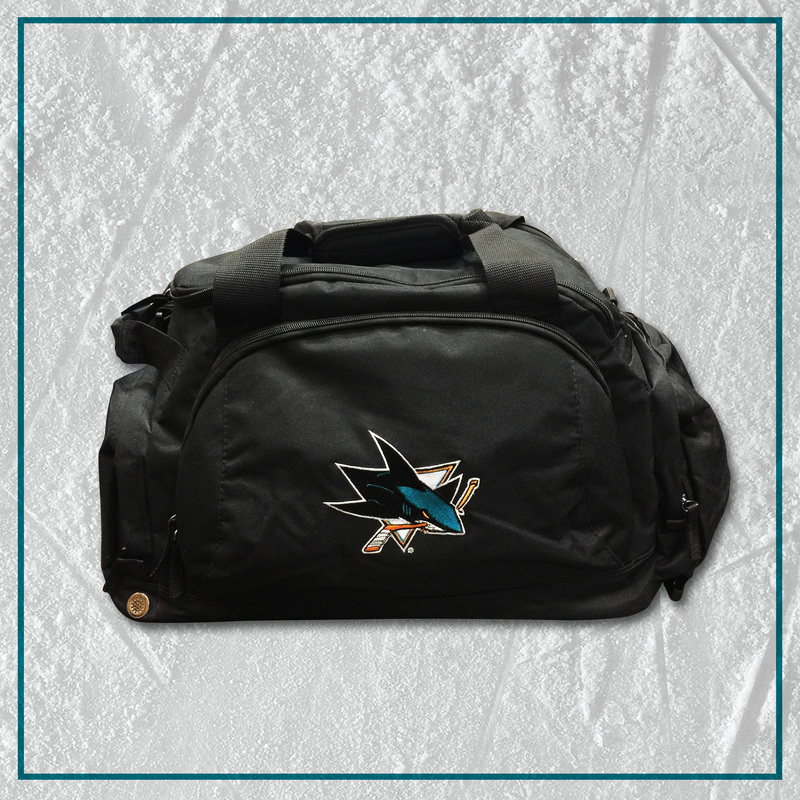 Two tiers of limited edition duffel bags were filled with custom Sharks merchandise and memorabilia and available for purchase. Orange Level Bags sold out within minutes. Teal Level Bags are still available - click below to purchase! A few bags will contain a surprise bonus item: name and numbered authentic Adidas Stealth jersey signed by a member of the 2018-19 team! Only available to ship within the U.S. Sharks Convertible Duffel - The Convertible Duffel/Back Pack, embroidered with the Sharks logo, features a u-shaped zippered main compartment, back sleeve pocket, inside front gusset pocket, gusset end pocket, zippered shoe pocket, zippered storage for back straps, adjustable/detachable padded shoulder strap, carry handle with Velcro fastener and a reinforced padded bottom. 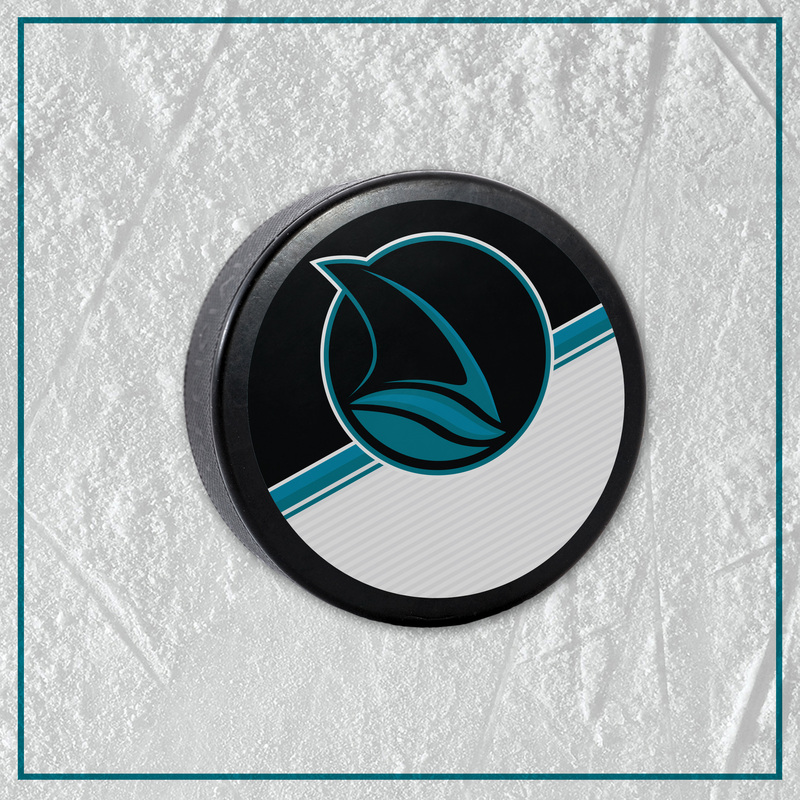 Stealth Autographed Puck - Special Edition Stealth puck signed by a member of the 2018-19 San Jose Sharks. Each bag will be pre-packaged at random and the player's signature received by the bag purchaser will be unknown until the bag is purchased and opened (ie: you cannot choose the player). 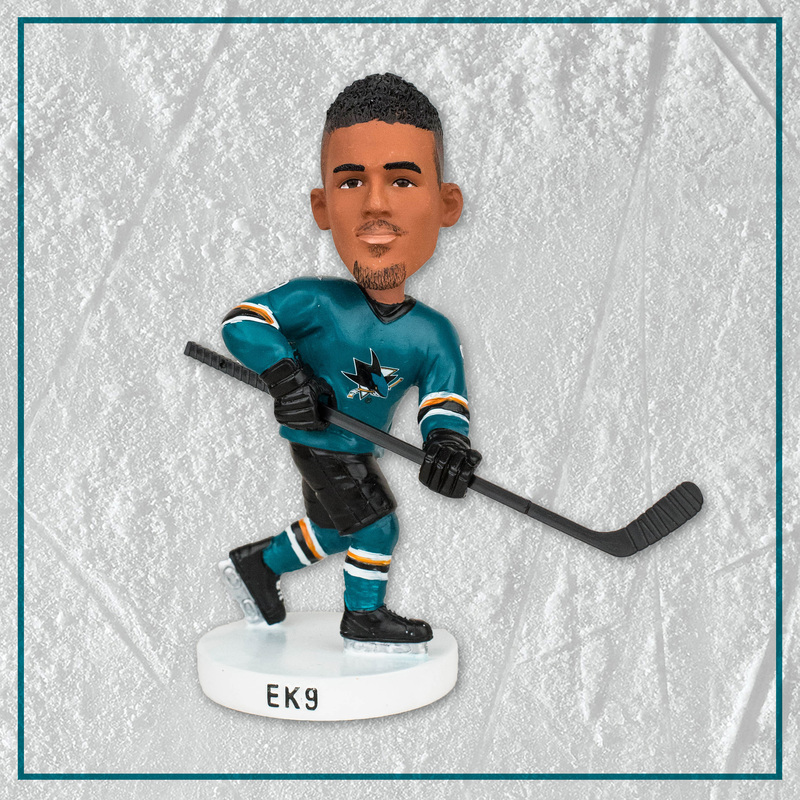 EK9 Bobblehead - #9 Evander Kane Limited Edition Bobblehead created exclusively for the 2018-19 Charity Bag. 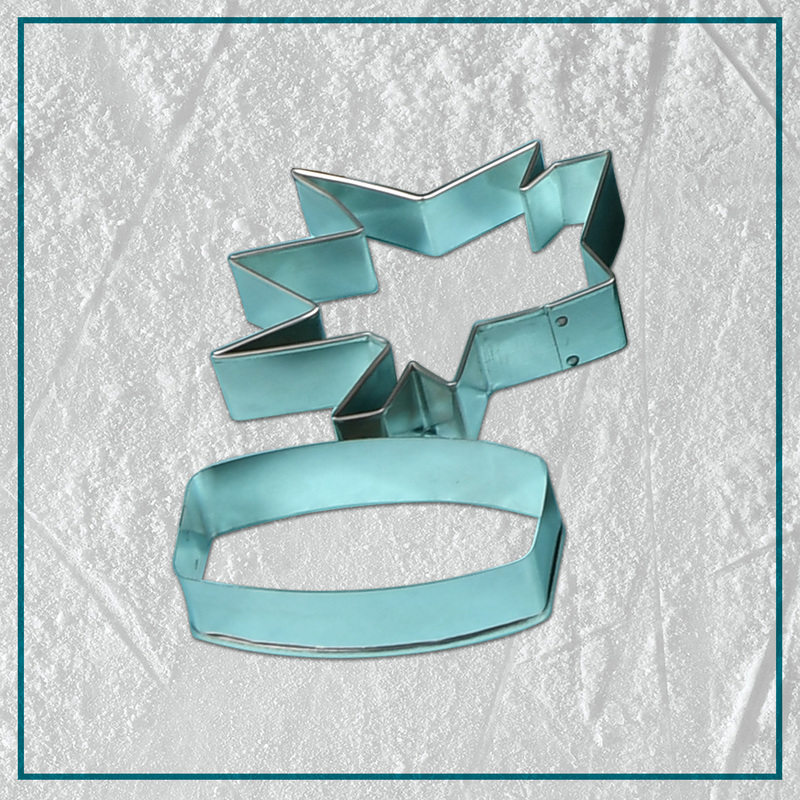 Sharks Cookie Cutter Set - Includes two custom cookie cutter shapes, a hockey puck and the San Jose Sharks crest logo. 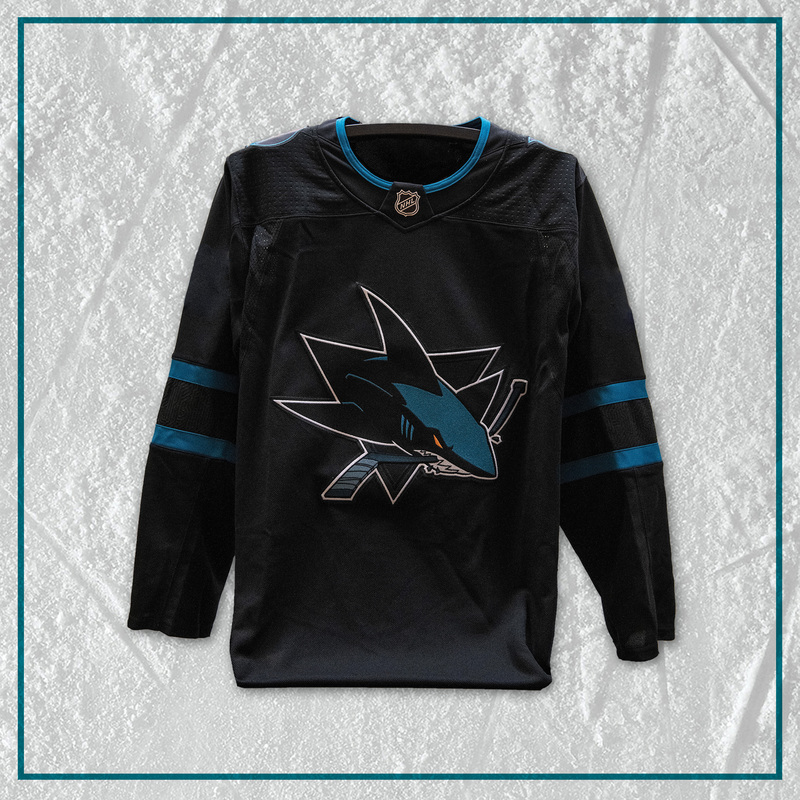 The set also includes the favorite cookie recipes of Sharks players #31 Martin Jones and #65 Erik Karlsson. 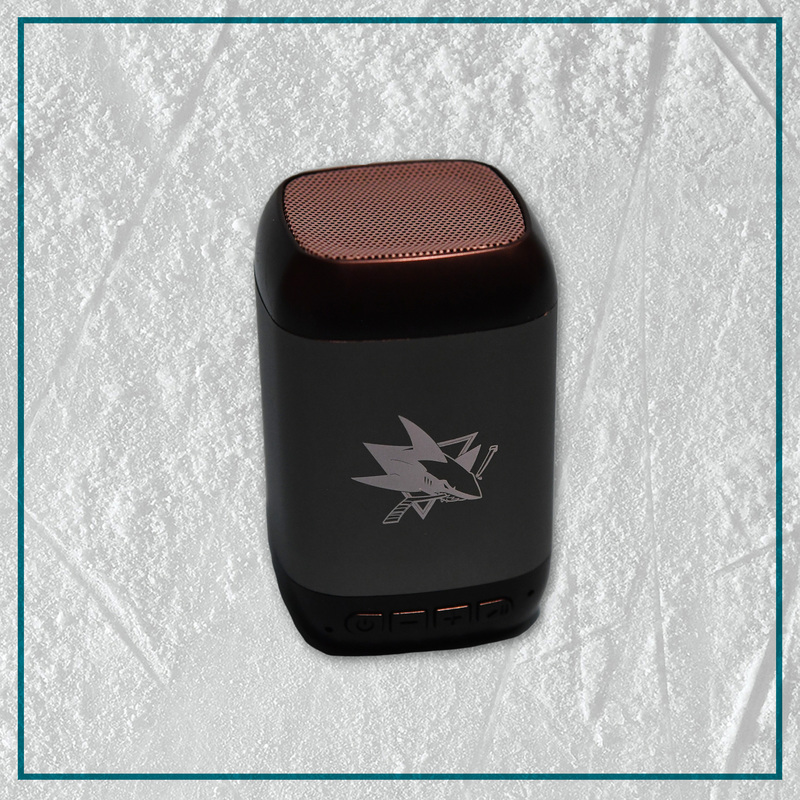 Sharks Mobile Bluetooth Speaker - This Bluetooth Speaker is Sharks branded and has a rotating speaker for three different positions that enables you to direct sound with a long-lasting battery that gives you play up to 8 hours! 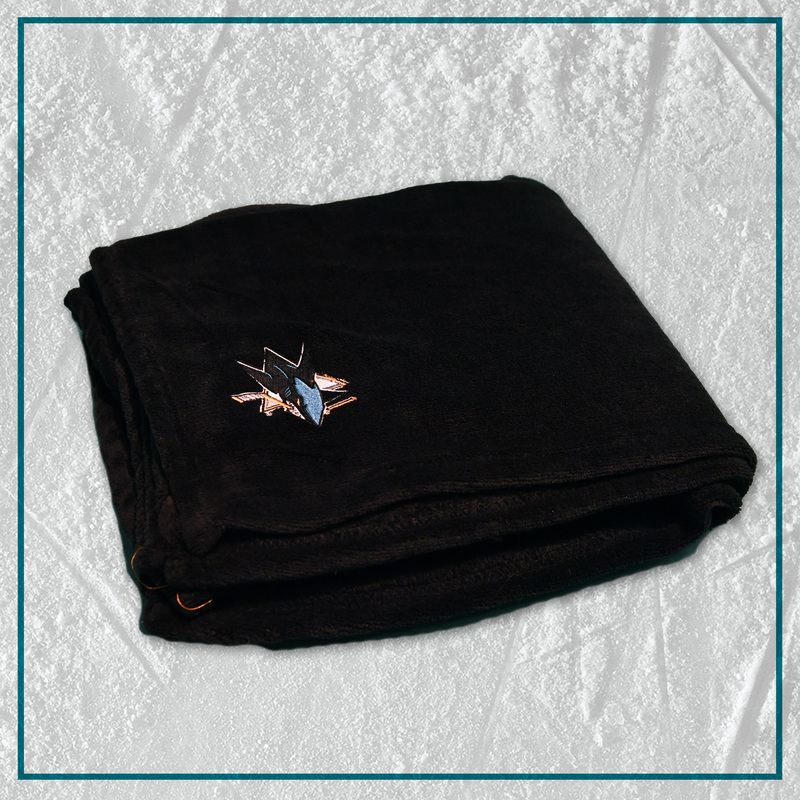 Sharks Plush Blanket - This blanket is very soft and cozy, includes a full color embroidered Sharks logo, and an individual zippered bag. 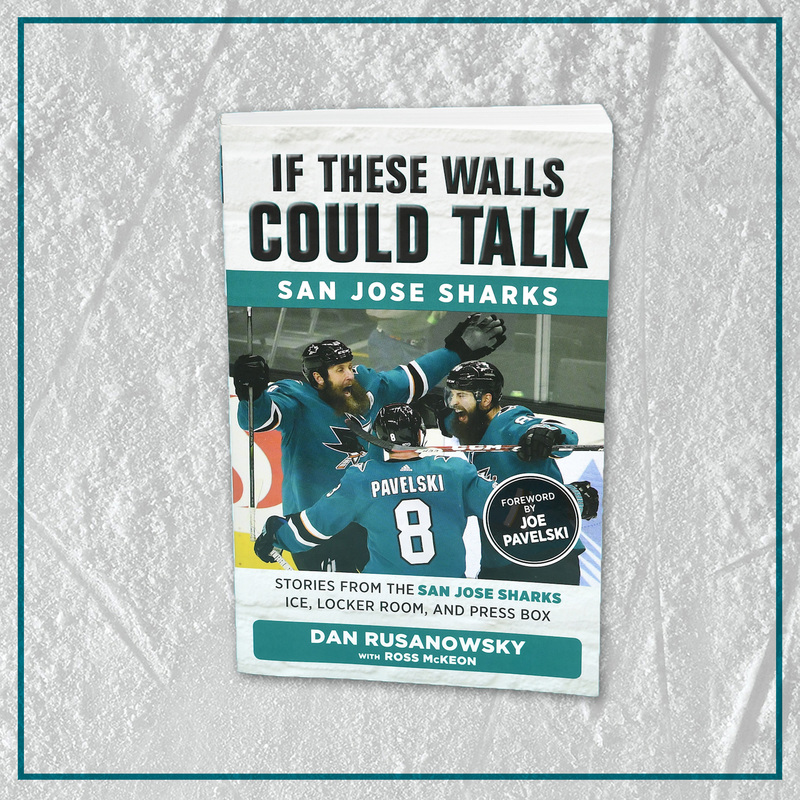 If These Walls Could Talk: San Jose Sharks, signed by Dan Rusanowsky - Stories from the San Jose Sharks Locker Room, Ice, and Press Box. Paperback book, signed by radio play-by-play announcer, Dan Rusanowsky. 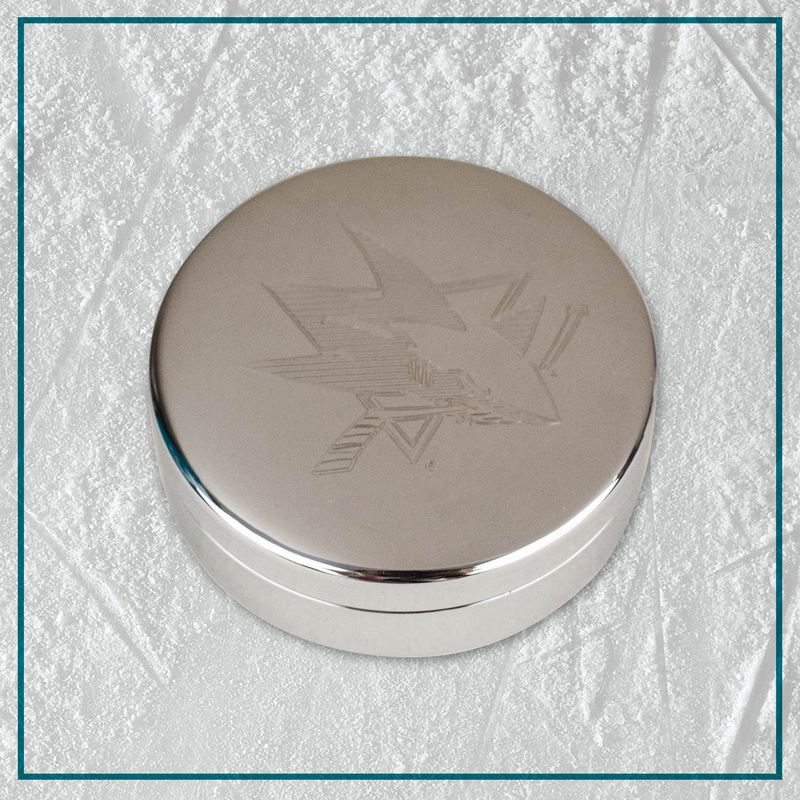 Sharks Engraved Trinket Box - Round, silver trinket box, custom engraved with the San Jose Sharks crest. 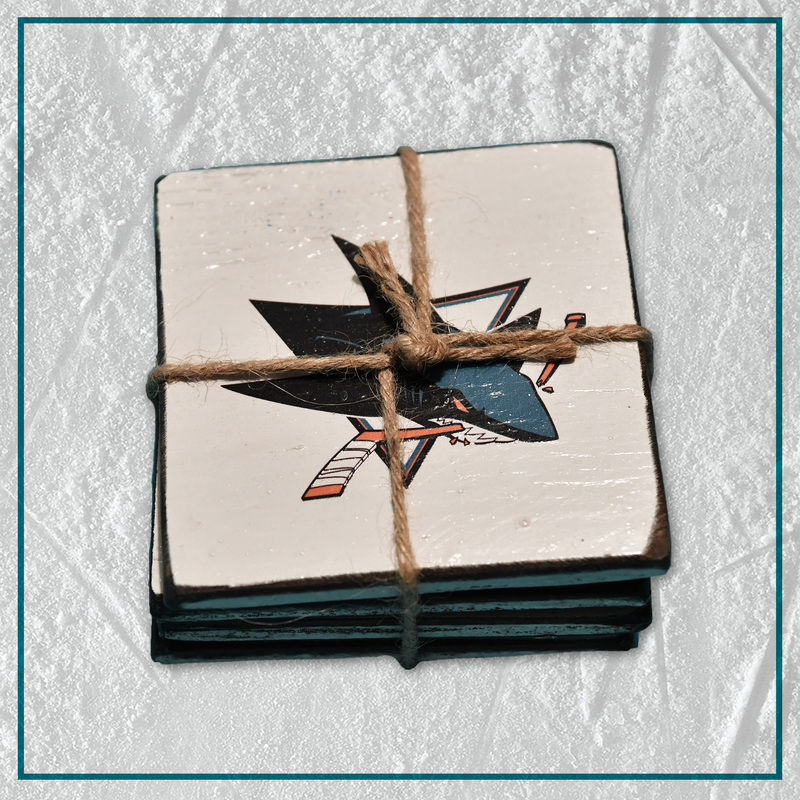 Sharks Wood Coaster Set - Set of four Sharks handmade, weathered wood coasters. 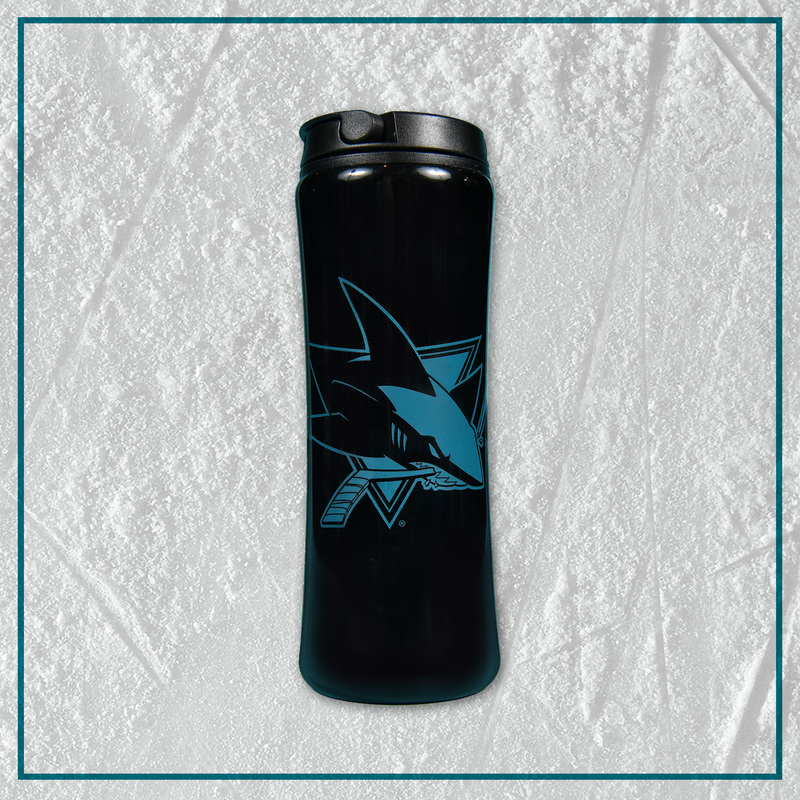 Sharks Double-Walled Tumbler - Black acrylic double-walled 16 oz tumbler, insulated for hot or cold beverages! 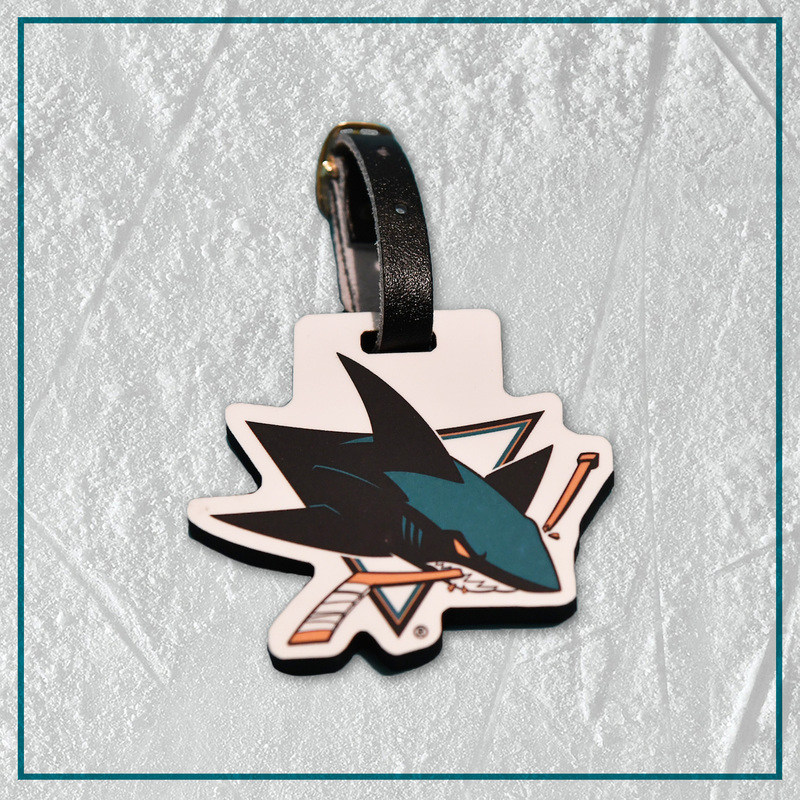 Sharks Wood Bag Tag - Custom Sharks wood laminate bag tag. Comes with a black vinyl backing and leather buckle strap attachment. 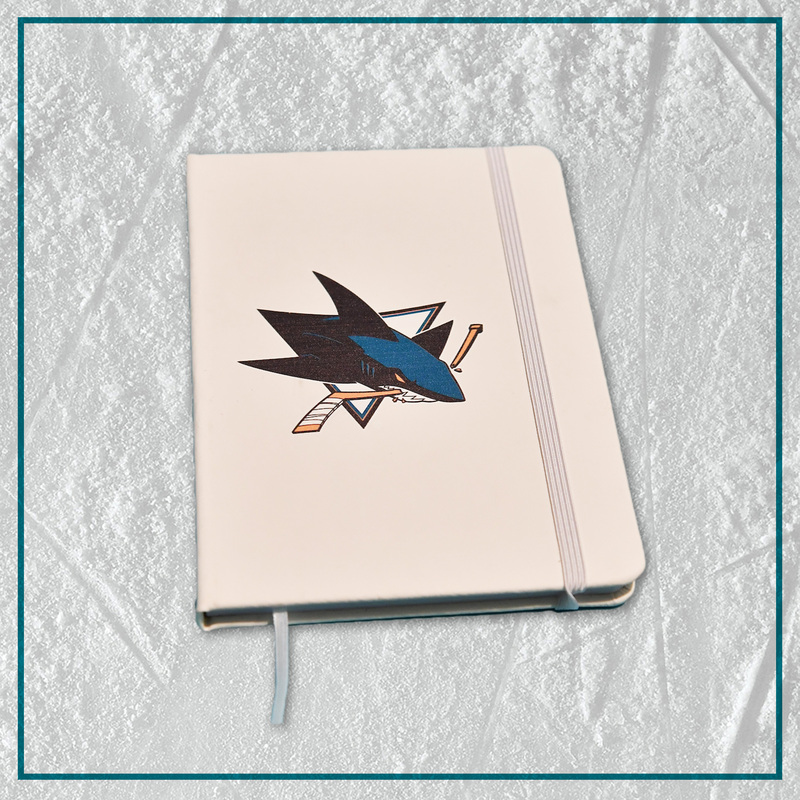 Sharks Journal - Sharks white lined notebook with strap closure. 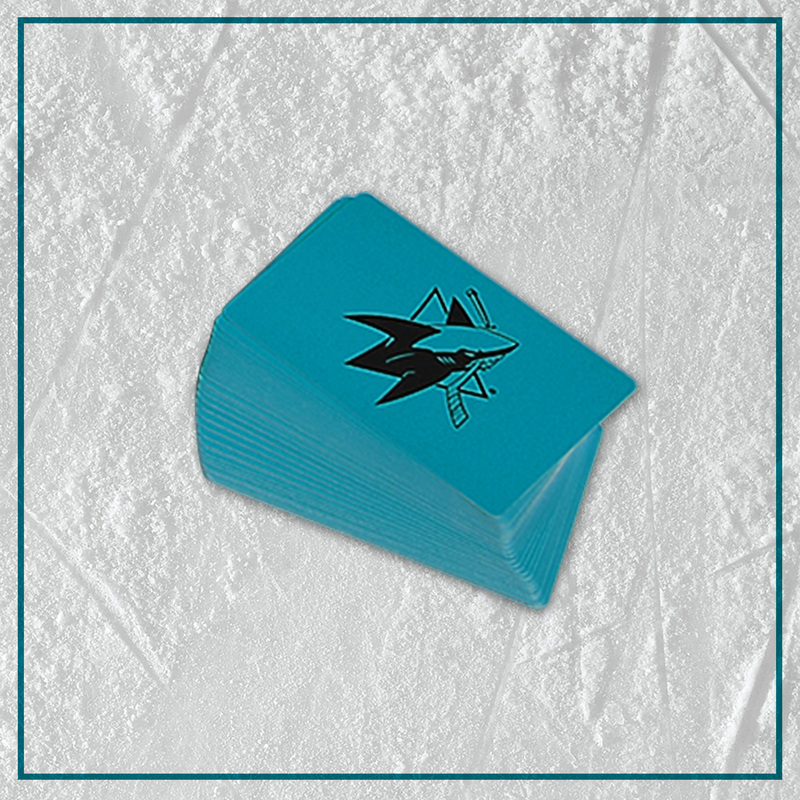 Sharks Playing Cards - Teal custom deck of playing cards. Click on each item above to see the image.